Providing a superior customer experience is the essential goal for many businesses. For AppNexus, they wanted to thrill their customers with care and attention to detail. 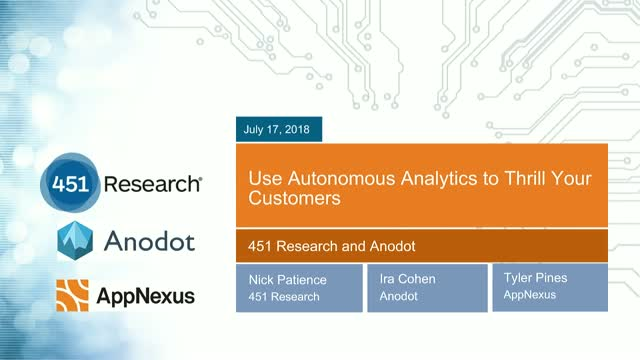 In a digital advertising world rich with data and rapid customer interactions, AppNexus improved their customers' experience with the help of Anodot's AI capabilities, delivering more reliable platform services, proactive customer service, and higher revenue. Traditional monitoring tools are incapable of parsing out the many real-time fluctuations inherent in Appnexus’ business data: seasonality, regular campaign changes, intricate correlations, and measurements across many orders of magnitude.